➤ Anything that's Sad, Sorrows, Unhappiness, tears, Heartbreaking...Down faces..Etc.. 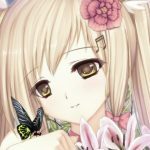 ➤You Can use Anime, Animals, Sad Faces, Textures, Quotes, and anything that's Related to sad Or you think it's, Please feel Free to put it on here! What's your favorite sad Quotes?